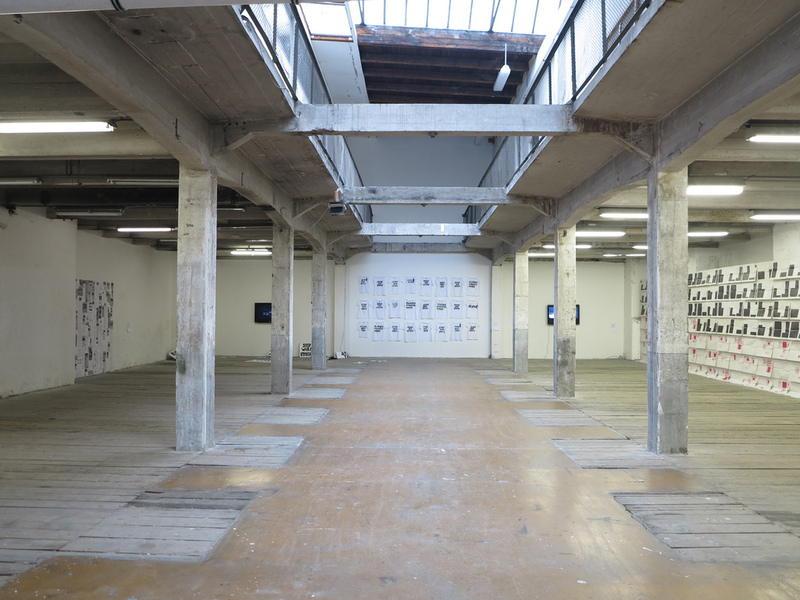 Aliens is a group of projects talks about the position of immigrants in contemporary society. 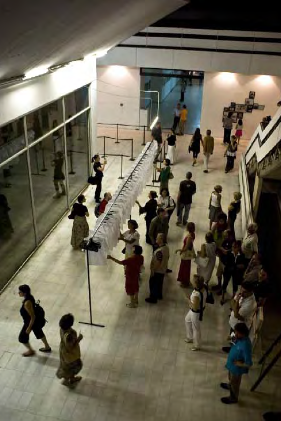 The projects are realised in different media, including video, live art, performance, etc. 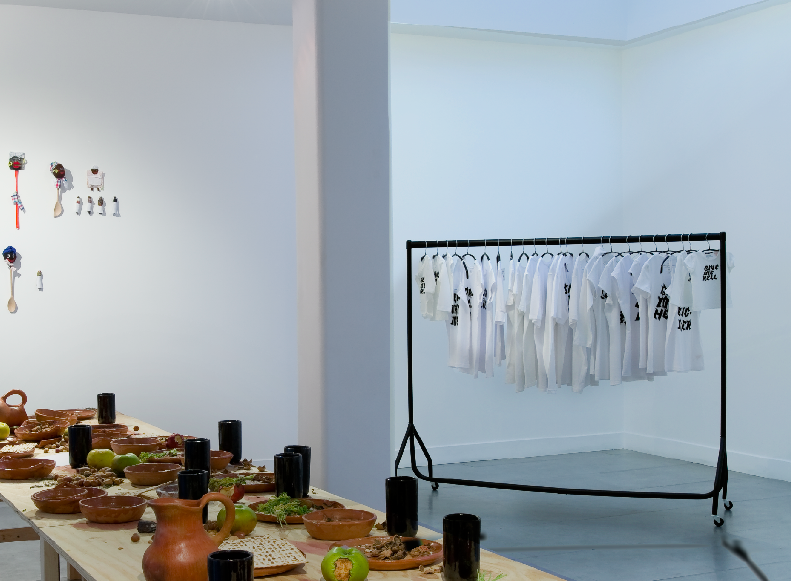 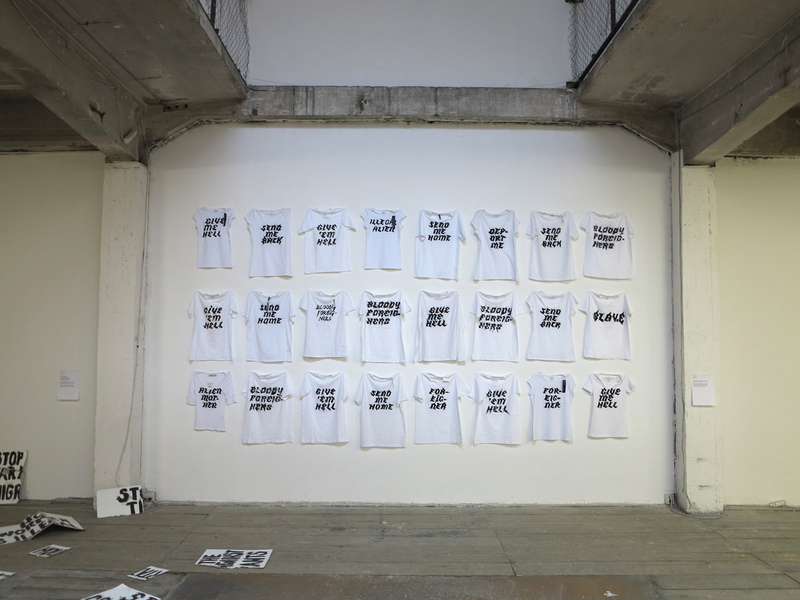 All of these works investigate the textile/fashion industry and related issues of human rights, while making reference to the wearing of shirts with imprinted slogans as a way of expressing/seeking a sense of belonging/recognition, and in general the possibility/impossibility of ‘being different’. 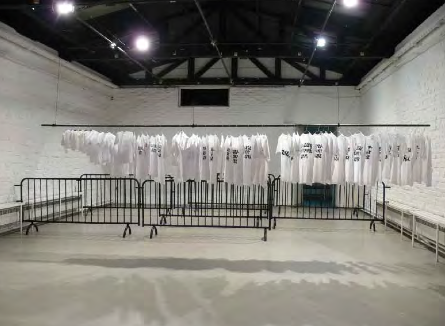 Aliens Inc., 15x1m, 100 hand painted T-shirts, 100 hangers.